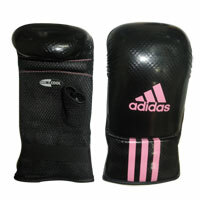 Bag glove in black maya/palm in black mesh with pink stripes. IMF foam padding. 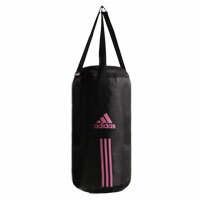 Parachute filled punching bag in size 50x28cm (9.5kg 241 3%) with pink stripes. 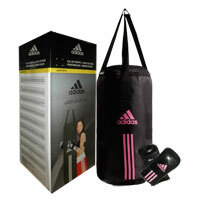 Nylon strap & triangular hook.